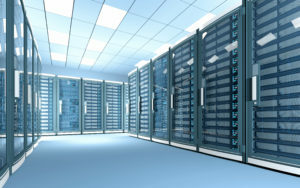 Professional Medical Management (PMM) has a 2500 sq/ft state-of-the-art data center, including a raised floor cooling system, 220v power supplies, 24 hour backup UPS systems, and a dedicated backup generator. Our advanced data center is ready to house your appliances, be it a production server, backup server, switch, router, internet server, firewall, NAS or SAS, you are guaranteed to never have downtime due to a power failure. Our backup systems are tested every six months to verify their functionality and to ensure your up-time. In addition, we will provide a live person 24 hours a day, 7 days a week, 365 days a year to be available in the case of an emergency, so you will never be left in the dark. Contact us for a quote, we will work with whatever size you require and will give you a competitive price for the assurance and piece of mind you deserve.